The Revolution has arrived- whether you call it digital nomadism, location independence, or just freedom, working from anywhere is a rapidly growing trend. Some of the most popular cities for digital nomads are in Thailand (Bangkok, Chiang Mai, Ko Lanta, Phuket), the USA (Austin, Miami, Knoxville), and Hong Kong, but Eastern Europe has largely been neglected. 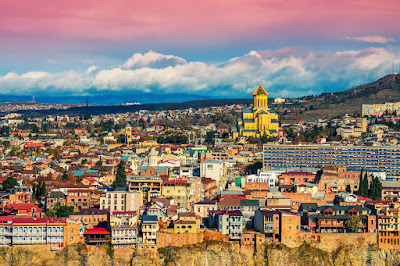 While some cities in the Balkans and the Baltics have gotten some love (Novi Sad, Serbia; Tallinn, Estonia), one place that is still largely under the radar is Tbilisi, Georgia. So what are the most important factors to consider in a short-term home? So where does Tbilisi fall on these metrics? 1. Tbilisi has a low cost of living! Numbeo estimates that cost of living (excluding rent) is about 33% of the cost of living in NYC. Rent for a one bedroom apartment in the center of the city averages around $300-$400, and if you don't mind older construction, unrenovated, or somewhere more on the outskirts (but still on a metro line), you could push that down to $200-250. Prices on everyday items such as food and transportation are also very low- mainly because local salaries and locals' purchasing power is low- but you can live very comfortably on $800/month. 2. Free wi-fi is abundant! There are dozens of coffee shops throughout the city, ranging from smoke-filled rooms with scratchy table cloths tucked into back alleys to trendy minimalist coffee bars to the newly opened Coffee Bean & Tea Leaf on the main thoroughfare. 3. Co-working spaces: this industry is still developing, but the concept is gaining popularity. There are formal co-working spaces, like the ones publicized on CospoT, and coffee shops that have become informal expat hubs with a very co-work-y environment, such as Prospero's and Newsroom Caffe. 4. Travel around the region is easy and affordable. From the central bus station, Didube, you can find dirt cheap mini-buses and (slightly more comfortable and slightly more expensive) taxis going to every corner of the country. There is also train service to cities such as Batumi (5-6 hours west by train, on the Black Sea coast). In September 2016, Wizz Air is starting budget flights out of Kutaisi to several European destinations. You can already fly from Tbilisi to Istanbul for less than $150/RT! 5. It's the perfect size...the city isn't overcrowded, you can review locations that only locals know about, and be the first to write about trends, culture, and happenings. 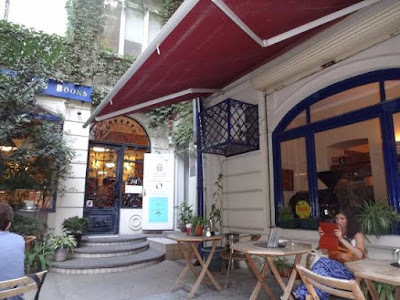 Instead of throwing another voice into an already saturated field of travel writers and bloggers (think: Paris, Chiang Mai, Prague, Split), you can be one of the few to observe and comment on new phenomena. 6. It's inspirational...this is the ideal place for a creative professional. 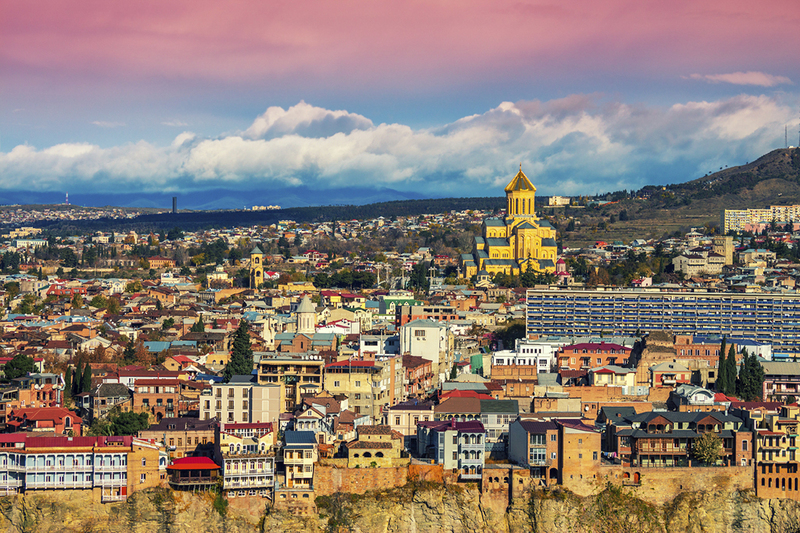 Whether it's the enigmatic alphabet (although it's easier to learn than it looks), the hints of Soviet past appearing unexpectedly, or the twisting vines and ornate balconies of beautifully decaying back streets, Tbilisi will keep you in a constant state of wonder (and slight confusion). Your creative impulses will thrive. Being kept on your toes will keep your ideas from getting stale and tired. 7. There is room for growth. Entrepreneurs are on fertile ground here, as Georgia's economy continues to grow and new markets emerge. 9. 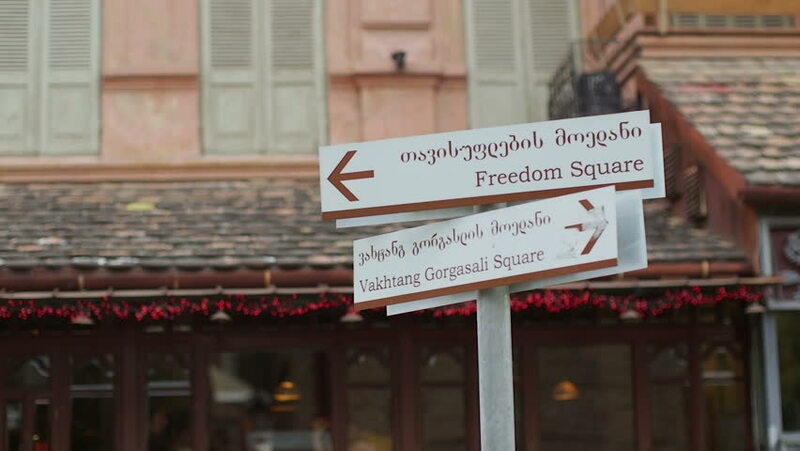 Many foreigners can stay in Georgia visa-free for up to a year, so it's logistically accessible. 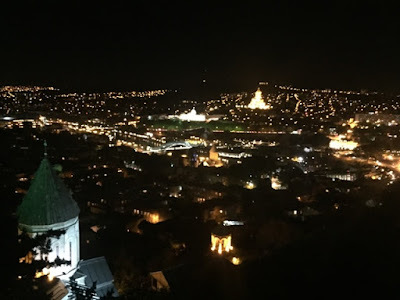 I'm not saying you have to drop everything right now and make your way to Georgia (although it's not a bad idea...), but if you are a digital nomad, or at all considering a location-independent lifestyle, Tbilisi should be on your radar. I've been enjoying reading your blog from here in San Francisco, Samantha. I went to Georgia about 7 years ago and was fascinated. Still am and your blog is making me want to return. 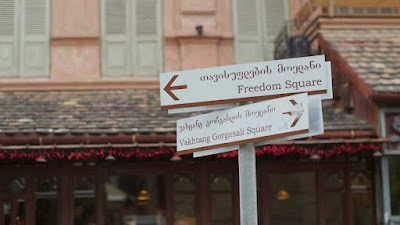 Interesting place, but you sort of have to learn Russian (or Georgian) to feel comfortable. Hey there! Welcome to my blog. 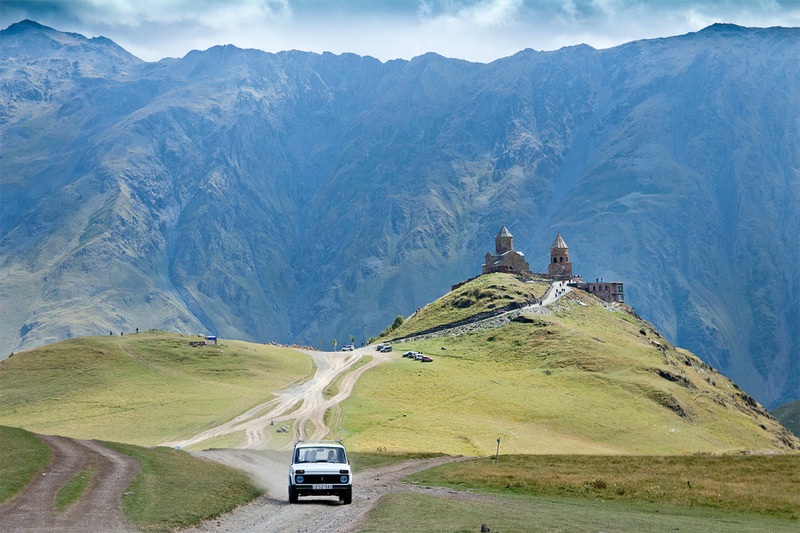 I hope you enjoy reading about my travel adventures, and get inspired to create your own.